The regular Vision Tuesday Lunch and Speaker on May 15th will be held at St. Andrews Baptist Church, 230 Bush River Road in Columbia. The Speaker is Kenny Mills of ruins REBUILT at https://www.ruinsrebuilt.org/. Registration for the lunch is required. Register HERE. Registration deadline is Friday, May 11th. A special evening session is also being planned for lay leaders and bivocational staff can attend. A Gathering for Pastors, Staff, and Lay Leaders of the Churches of the Columbia Metro and Lexington Baptist Associations. Leaders: David Lee of Lexington will lead the evening. 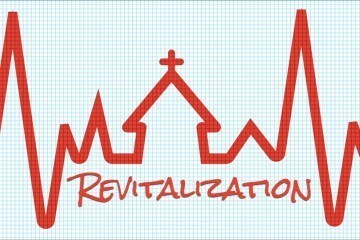 George Bullard of Columbia Metro share a strategic framework, Kenny Mills of ruins Rebuilt will share a model for Rebranding and Relaunching Your Congregation. Reservations: A count is needed for how many people will attend from your church to be sure we have enough food. No later than Friday, May 11th send an e-mail with the name of your church and your estimate of the number of people coming to CMBA@ColumbiaMetro.org, or call or text 803.622.0923 with this information. George Bullard will briefly introduce and have a handout you can use in your congregation on ten “R”s for plotting a new congregational course. The ten “R”s are Replication, Reproduction, Relocation, Reception, Redemption, Reconciliation, Redirection, Reinvention, Resurrection, and Release. An overview of these can be seen at http://www.columbiametro.org/the-ten-rs-for-plotting-a-new-congregational-course/. Kenny leads an organization called ruins REBUILT that can be found online at https://www.ruinsrebuilt.org/. We encourage you to check out this site. Kenny has already worked with three congregations in our area—Rosewood Baptist Church, Earlewood Baptist Church, and North Point Community Church. All three of these pastors fully endorse his ministry with them. Kenny has a model of rebranding and relaunching congregations we want you to have the opportunity to hear. It is not a comprehensive long-term approach, but one that gets a congregation started in a new direction.